(0 Customer Reviews) | Write Review 12 issues per year Scale Military Modeller International is the fastest growing, most innovate and most imaginative military modelling magazine and its unrivalled coverage has made it the world’s No.1 best seller! Covering all the popular scales, SMMI is packed with so many more modelling features and articles than any other title on the market, and this is backed with full-sized references, high quality photography and the best in editorial content and expert guidance from our team of world renowned modellers and writers. SMMI also provides the unique ‘SMMI Centre’ which showcases all the latest information from around the military modelling world, as well as dedicated ‘Military News’, ‘Figure News’ and ‘Warship News ‘sections. SMMI also provides the modeller with a comprehensive ‘Previews’ section where new kits and accessories and analyzed, and an all inclusive ‘Reviews’ section where our team of modellers provide their thoughts as they build the very latest kits. Scale Military Modeller International is the fastest growing, most innovate and most imaginative military modelling magazine and its unrivalled coverage has made it the world’s No.1 best seller! Covering all the popular scales, SMMI is packed with so many more modelling features and articles than any other title on the market, and this is backed with full-sized references, high quality photography and the best in editorial content and expert guidance from our team of world renowned modellers and writers. SMMI also provides the unique ‘SMMI Centre’ which showcases all the latest information from around the military modelling world, as well as dedicated ‘Military News’, ‘Figure News’ and ‘Warship News ‘sections. SMMI also provides the modeller with a comprehensive ‘Previews’ section where new kits and accessories and analyzed, and an all inclusive ‘Reviews’ section where our team of modellers provide their thoughts as they build the very latest kits. The latest kit releases and model builds, Events from around the world and dedicated pages for modelling societies such as MAFVA, IPMS and AMPS. 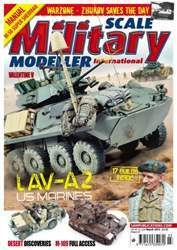 So if you want to the very latest news and the best features presented in a user friendly style, the Scale Military Modeller International has to be your magazine of choice. 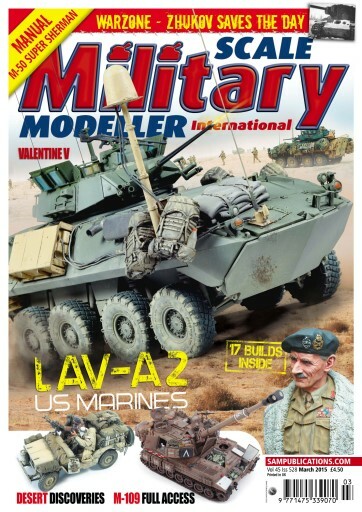 You'll receive 12 issues during a 1 year Scale Military Modeller Internat magazine subscription. You'll receive 12 issues during a 1 year Scale Military Modeller Internat magazine print subscription.